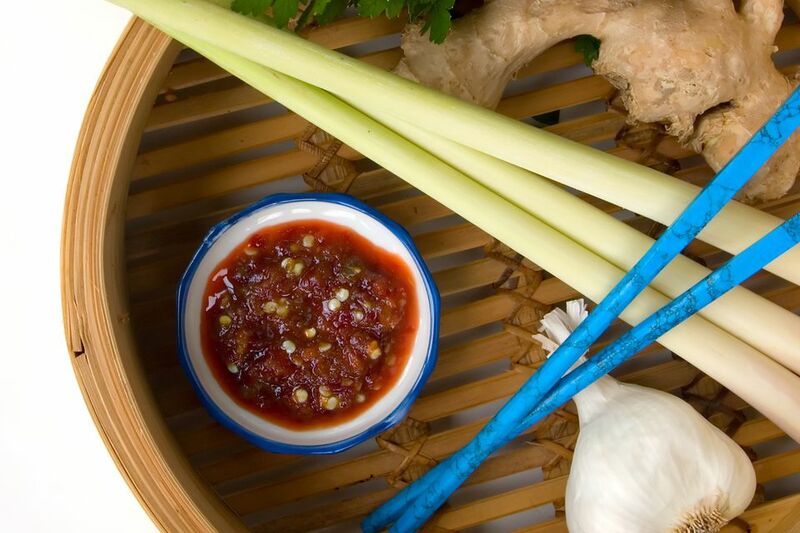 Sweet and tangy sauces about in Southeast Asian cuisines, but they are not as generic as some Westerners think. The ingredients that go into a sauce, what other spices and herbs are added, make each sweet and tangy sauce distinct from others. Citrus juice is a common ingredient. Lime is native to Southeast Asia so it is used more often than lemon. Kalamansi, more acidic than lime, is another citrus that grows in the region. And then, there's tamarind. Not as easy to use than vinegar or citrus juice but definitely worth all the extra steps in the preparation. Tamarind is a tree and the fruits are pod-like. The pulp of a young tamarind fruit is sour and ideal for making sour broths and sauces. Worcestershire sauce contains tamarind extract. As the fruit matures, the pulp becomes sweeter. At that stage, tamarind is made into candy or jam or pressed to make juice drinks. Place the tamarind pulp in a heatproof bowl. Bring half a cup of water to the boil. Pour into the bowl with the tamarind pulp. Allow to soak for about ten minutes. Strain with a wire mesh, pressing the pulp through the mesh. Discard everything that cannot be pressed through the mesh. With a mortar and pestle, mash the chili, garlic, and sugar to a paste. Gradually add the tamarind extract and fish sauce, mixing as you pour.